Why do I get “Network unavailable” from my pinned SkyDrive icon? Access to SkyDrive can be very easy when it is pinned to the taskbar. 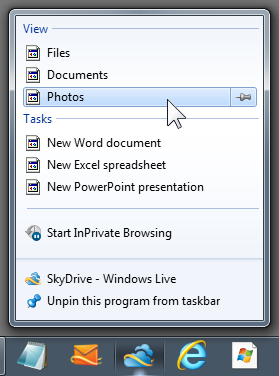 With a right-click on the taskbar icon you can even get to a specific section, Documents, or Photos. This is access to the online SkyDrive. Clicking on the icon or a specific item in the jump list opens the browser and shows the SkyDrive page. 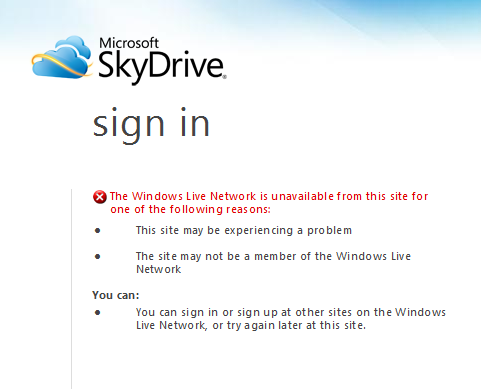 Sometimes, however, a very ominous screen comes up, it shows the SkyDrive logo and says “sign in” but there is no sign in box, instead it says “The Windows Live Network is unavailable from this site …”. (See the illustration here, the left side of the actual screen is not shows). None of the reasons shown are really applicable, the most likely problem is that you signed out of your Microsoft account online. 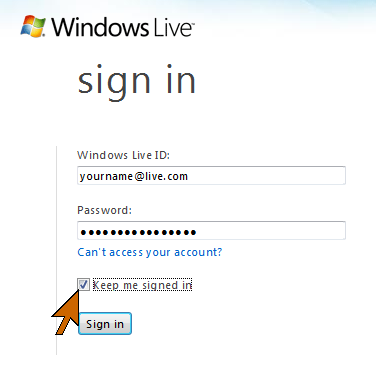 To fix the problem, sign in at home.live.com making sure that you have checked “Keep me signed in”. You can close the browser. The taskbar icon will open the browser and you will be automatically signed in to your SkyDrive.